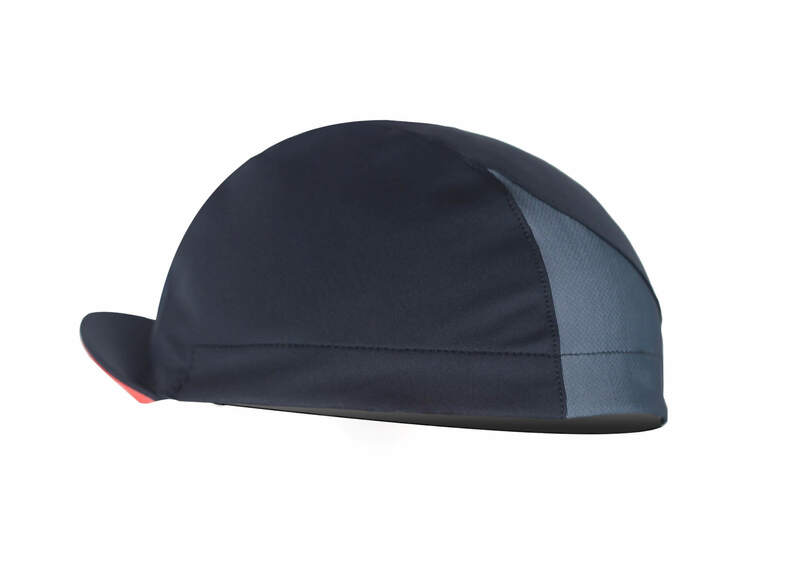 A light cycling cap made with elastic, anti-rain TRITON fabric, to keep your head warm and dry in harsh weather. 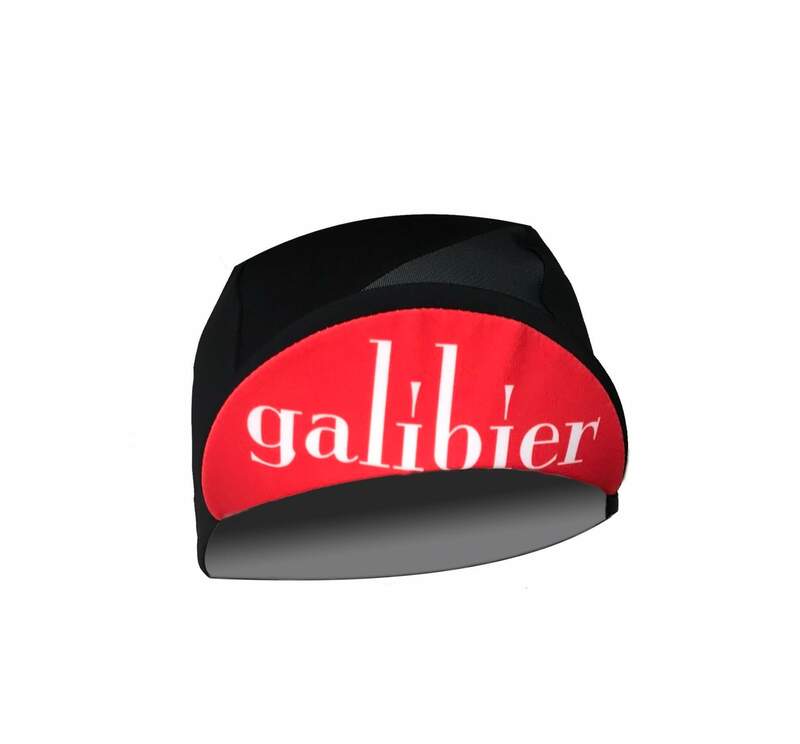 The Mistral rain cap looks and feels like a “normal” cycling cap. 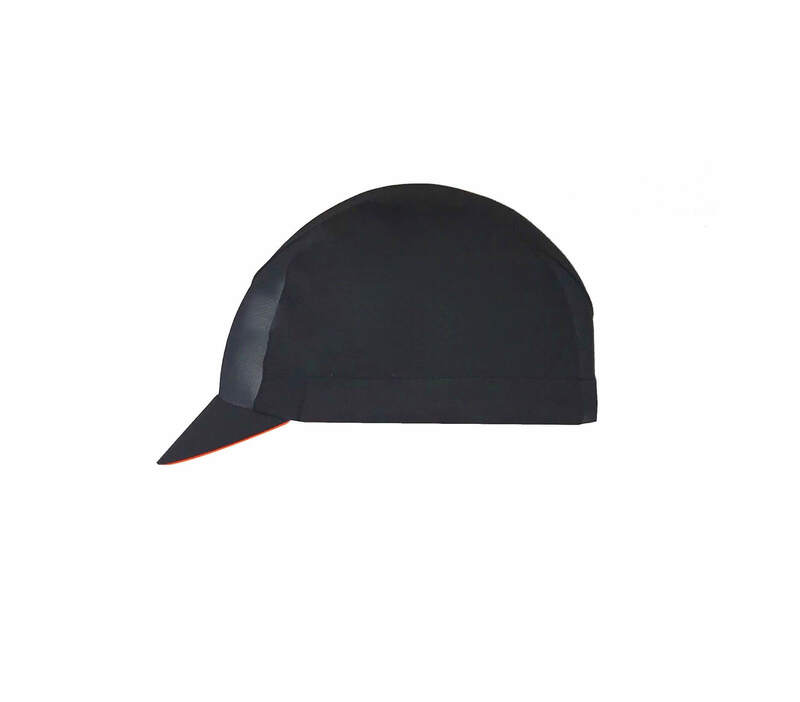 The technical membrane material, is matte black and more importantly, it works: Your head will stay dry and the brim is wide enough to keep your eyes protected—the water just rolls straight off. 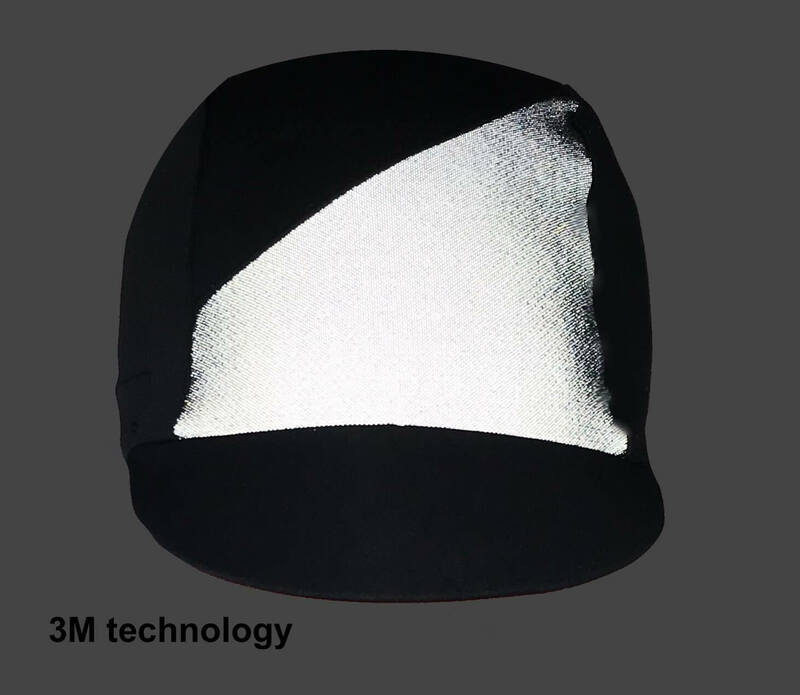 Excellent breathability, and two large panels of 3M reflective keeps you visible. IF you ever squint and blink constantly to keep the water out of your eyes during a ride/race? 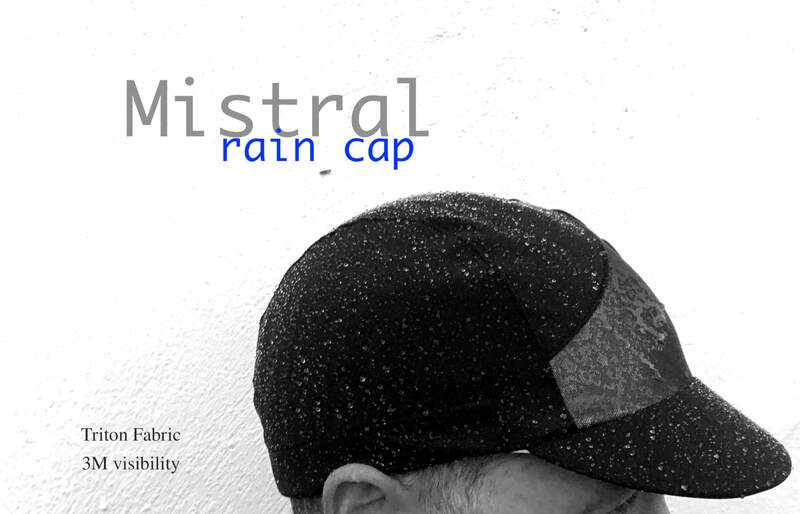 The mistral cap, shields your face from pelting droplets. Like a rain jacket for your head! Warm, protected, stylish. The Casquette from the year 3000. An advanced membrane fabric able to adapt to changes in ambient temperature thanks to their unique flexible membrane barrier technology.When the temperature is low, the membrane reduces permeability, helping to retain body heat. As the temperature inside the garment rises, the membrane’s pores open to allow accelerated vapor transfer. What this means for you is excellent weather protection in a wide temperature range. Heat kept in when needed, sweaty warm vapour released when needed. Comfortable fit 53cm to 61cm head dia. I never thought I could be enthusiastic about a cap, but this is a winner. 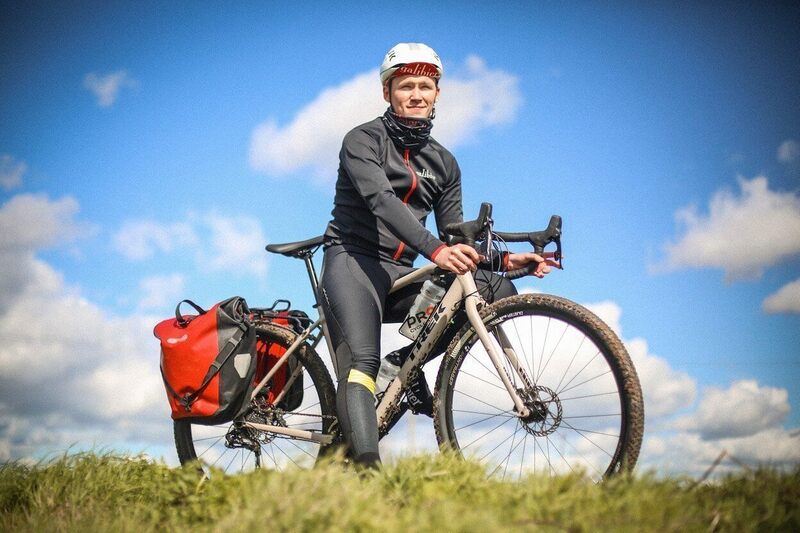 It’s both comfortable enough to wear when it’s not raining (I’ve worn it in long rides at 20 Celsius) but it’s also effective against the rain – and not just a passing shower, but also the road-flooding apocalyptic thunderstorm that hammers down when you’re miles from any shelter. 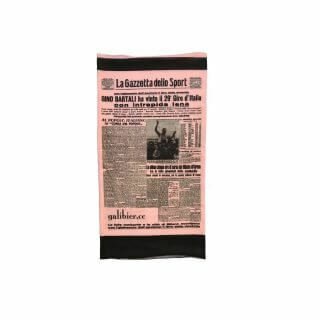 It’s comfortable, the sweat band is absorbent, and it looks pretty good too. The peak is stiff enough to stay down on long descents, but soft enough to flip up out of the way and not dig into my head. I am yet to experience a massive downpour in this hat – but after a month of owning I’ve worn it in light rain a few times and it works great. I wear spectacles so bought this in the hope it would aid to keep my glasses dry, and it works great for that purpose. 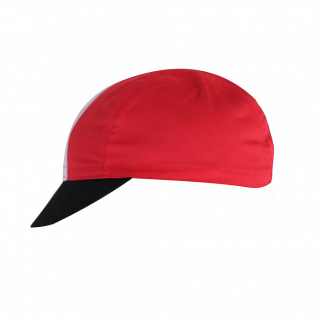 Comfortable cap and the material has a lot of stretch so whilst it fits snug on your head its never tight. Also means the peak never sticks into your head but it still never moves up or down without you wanting it to! Added bonus that it fits my massive head!